Are you starting to think about the festival season? Long walks though the British countryside? Impromptu picnics and parties? Time to refresh your wardrobe staples? 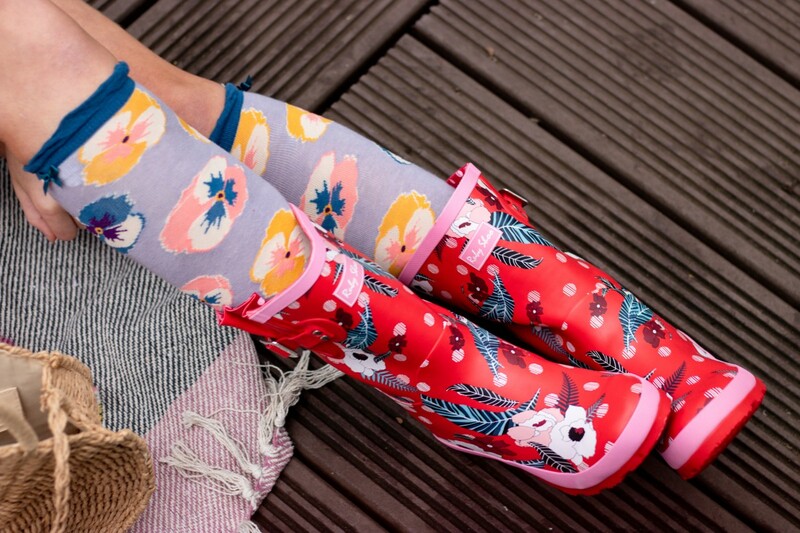 In need of a gorgeous new pair of wellington boots and some fabulous summer wears? With springtime coming in quicker than expected, it’s easy to get caught up with everything else before thinking about yourself! That’s why, at Powder, we’ve teamed up with the wonderfully unique Ruby Shoo, to offer you a prize worth up to £200 this April! With a passion for creating contemporary, quirky, fun, unique shoes and accessories with a hint of vintage, Samantha Lines, the talented designer at Ruby Shoo, is able to introduce both archive and modern fabrics into every collection. Ranging from occasion wear to everyday designs – often adding gorgeous embellishments and accessories to each collection – it’s almost impossible not to ask the question: “Where did you get your shoes?”! 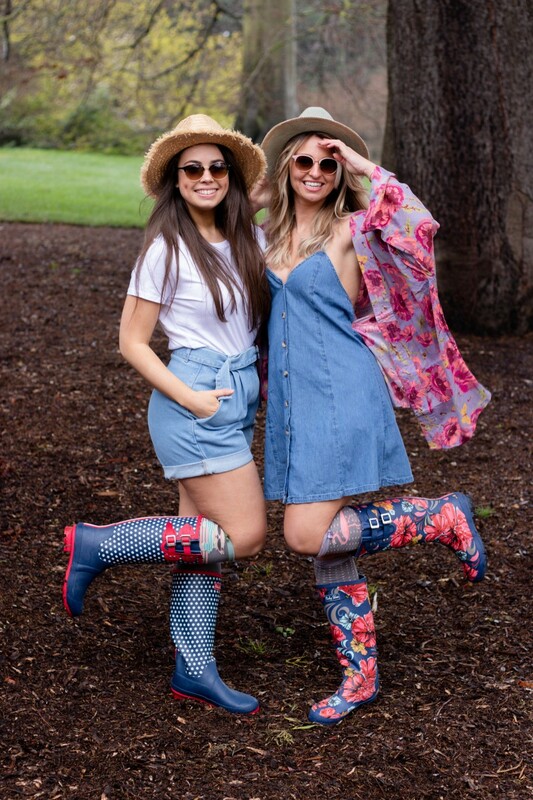 In 2018 Ruby Shoo launched both Wellington Boots as well as Umbrellas, allowing you to wear Ruby Shoo whatever the weather! We’re delighted to be shooting the full range of Ruby Shoo Wellington Boots along with our own Powder accessories! We’ve styled six different looks and you can see the full range of outfits available on our sister blog post! This April, from Monday 8th until Sunday 14th, you have the opportunity to win both a £50 voucher to spend on the Ruby Shoo website as well as a £50 voucher to use on our own Powder website! Better yet, when you tag a friend in our competition – they too could be in with the chance on winning their own £50 voucher for both brands! Things are better shared and in pairs after all!